Free Museum Day – Two Tickets to Create Memories. Smithsonian Magazine’s annual Free Museum Day is Saturday September 26, 2015, a day when more than 1200 museums across America will offer free admission. The annual event provides two free tickets to each registered household and thus offers the perfect excuse to share a one-on-one museum experience with a child. 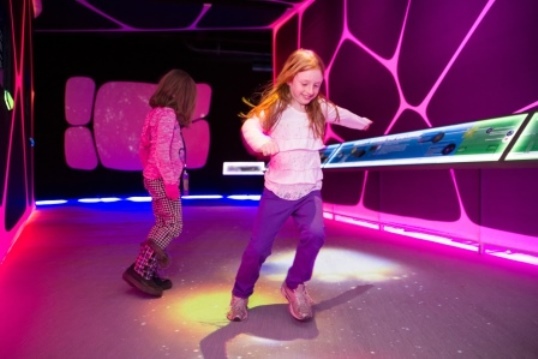 The positive energy of making discoveries at Adler Planetarium is not just enjoyable but contagious. The collection of participating locations spans all interests from living history and natural sciences to art, culture, transportation, gardens, and hands on fun at children’s museums. On this year’s list is the world famous Adler Planetarium in Chicago as well as the inspiring Arizona Museum of Natural History in Phoenix. Three of my favorite living history locations – Gibbs Museum of Pioneer & Dakota Life in St. Paul, Fort Worth Log Cabin Village and Conner Prairie Interactive History Park are participating. Young At Art in Miami is loaded with possibilities for nurturing young imaginations. It’s the place to create masterpieces and make discoveries. Dig in ArtScapes, build sand sculptures and recycled puppets in GreenScapes and explore customs in CultureScapes. Young At Art invites visitors to join a creative journey designed to inspire, educate and entertain the artist in everyone. Anchored on the shore of Lake Michigan, Chicago’s Adler Planetarium features three full-size theaters, including the renovated Grainger Sky Theater, the all-digital projection Definiti® Space Theater and the 3D Johnson Family Star Theater. At Conner Prairie Interactive History Park there is no end to the innovative interactive activities. 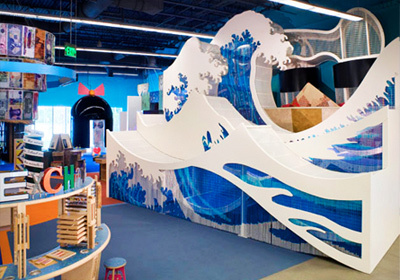 The complex has five outdoor experience areas, and oodles of creative ways to connect science, technology, engineering, and mathematics with history. On Museum Day at Arizona Museum of Natural History in Mesa activities will include panning for gold, a territorial jail, and time to enjoy Dinosaur Mountain, Dinosaur Hall, Cretaceous Seas, Southwest Cultures and Arizona in the Movies. Overlooking the nation’s oldest port city, St. Augustine Lighthouse & Maritime Museum showcases discoveries in shipwreck archaeology, features lives of keepers and their families, and an energizing climb with a rewarding view of land and sea. To create your own one-on-one museum memories register at Smithsonian’s Free Museum Day, make your choice and secure your tickets. I’ve made my choice and have my tickets on my phone.